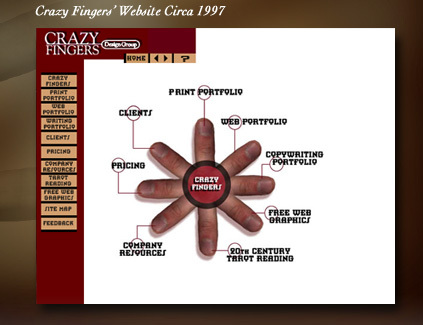 Crazy Fingers Design Group was founded on May 8, 1997 to provide advertising, design and web sites to clients in the Pacific Northwest. Since that time, we have grown to service hundreds of corporate clients nationwide with goal-oriented web sites, beautiful collateral material, and concise strategy. Our focus on interactive communication has earned several appointments to handle creative and art direction for other web developers, public relations firms and advertising agencies. Patrick Sheehan is the owner and creative director of the company - and has been since day one.